We offer schools a four to five-hour long project day. 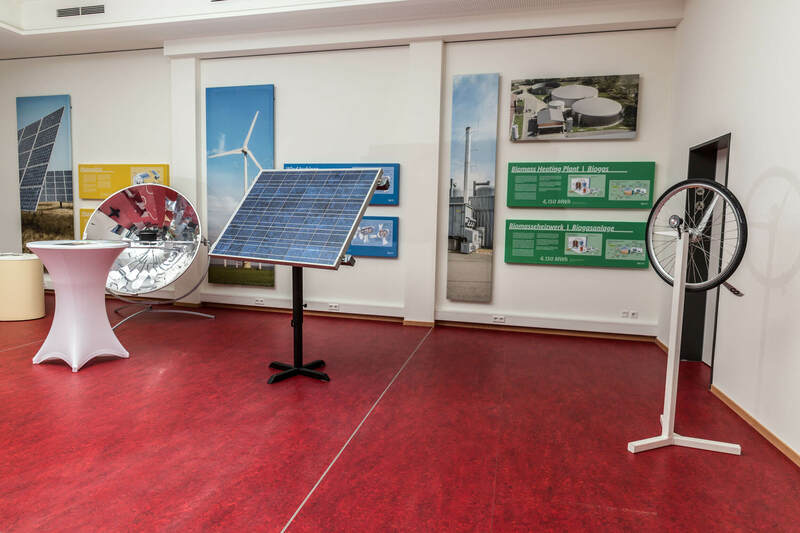 Pupils learn about the energy self-sufficient village of Feldheim and gain solid knowledge of the production, storage and transportation of energy. The various forms of renewable energy are dealt with in theory and practice. Pupils are divided into groups of up to 15 in order to create a more individual learning environment. On the way to the wind farm pupils learn how a modern wind turbine operates and which special technology is employed in the turbines in Feldheim. 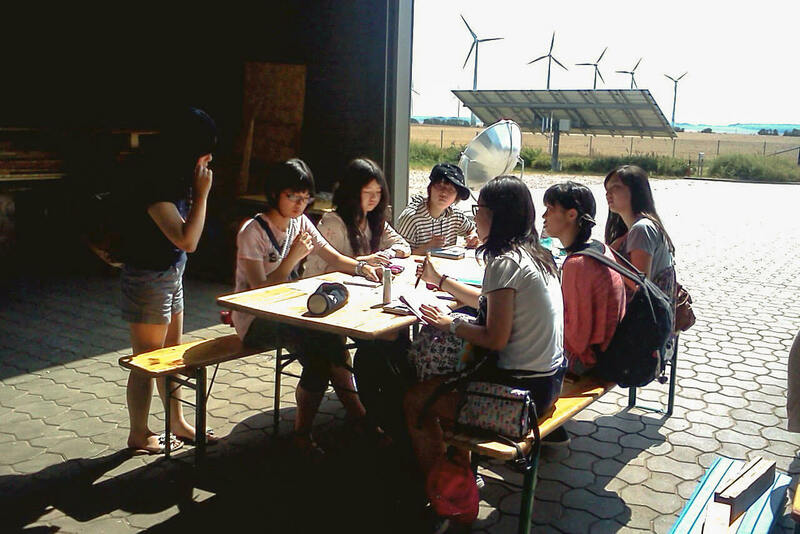 Afterwards they are able to name the components of a wind turbine and explain their function. At the wind farm we look inside a wind turbine, read the current figures for wind speed and electricity production and witness the size and aerodynamic features of the turbine. We explain how the biogas plant operates and the microbiological process which takes place in the fermenter. Pupils learn which input materials are needed and how these are produced for the biogas plant in Feldheim. At the same time the critical aspects of the use of bioenergy are examined. Theory is put into practice with experiment whereby the pupils produce their own biogas. 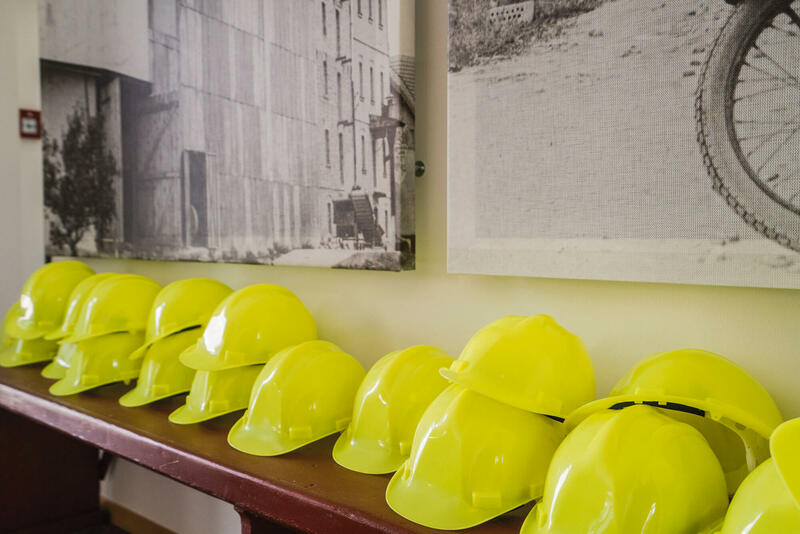 We visit the biogas plant, where we follow the route of the materials to the large fermenter and learn how the biogas is converted into electricity and heat in the combined heat and power plant. How does a photovoltaic cell work? We answer the question in a way pupils can easily understand as we describe the function of a solar cell, the components of a photovoltaic module and how it is built. In a practical session, we take measurements from a photovoltaic module, which allow us to draw conclusions as to the best location for the module and the effects shadows or dirt can have on it. Finally, pupils complete a quiz which tests their newly-acquired knowledge and receive an information folder on Feldheim to take away. 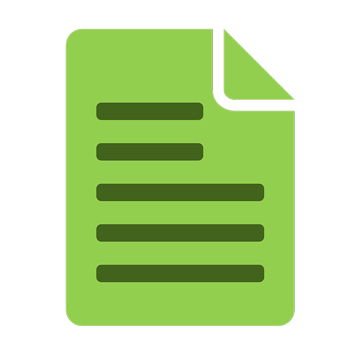 Alternatively download the booking form, terms and conditions and health and safety regulations imposed by the New Energies Forum Feldheim here or click on the green symbol.